The right batt insulation can improve many aspects of your home, not the least of which is energy efficiency. If you live in the Kansas City area of Missouri and are searching for a company that can masterfully install some of the best insulation materials in the industry, look no further than 31-W Insulation. We are a family-owned and -operated company that has been installing insulation and more since 1972, so you can put your faith in us for our family-oriented values and our decades of experience in the industry. Energy efficiency – When a house is properly insulated from heat transfer, its HVAC system doesn’t need to work as hard to maintain a consistent temperature, using up less energy. Acoustic control – Our sound-absorbent insulation helps filter out obnoxious outdoor noises. 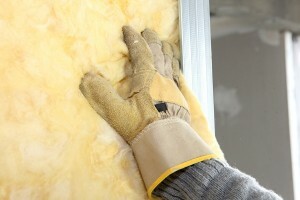 Fire resistance – Fiberglass batt insulation is noncombustible, helping to protect a home’s interior from fire damage. Indoor air quality – Replacing old insulation removes mold that may have built up and helps prevent new growth. At 31-W Insulation, our expert installation team is made up only of our own highly trained employees, not subcontractors, so you can be sure that they’ll hold themselves to our high standards of workmanship and customer service. And, because we’ve been perfecting our methods over the many decades we’ve been in business, our installers are able to masterfully install batt insulation in as little as just one day without cutting any corners. To learn more about having our team install batt insulation in your Kansas City, Missouri, home, contact 31-W Insulation today.